I can't believe that I JUST found this photo app! 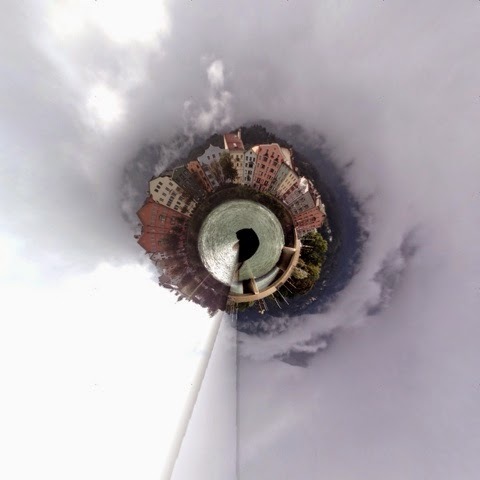 It turns your photographs into either tiny planets or rabbit holes and is pretty cool! 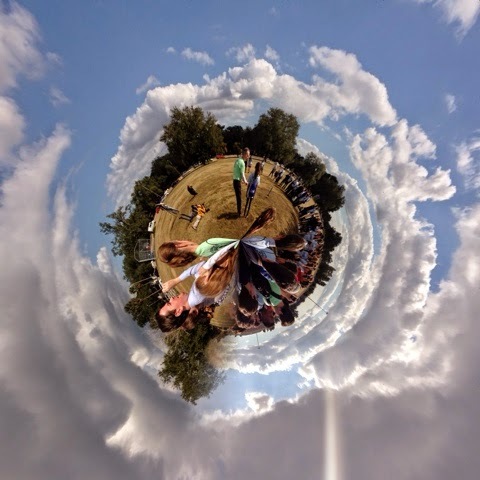 You have to take a panorama shot and the edges of your picture should be on the same plane for it to work well. Here are some of my tries. The first one is one from two years ago in Innsbruck, Austria when I was teaching there over the summer and the second one is from this past Fall's UNO Space Day. (I need to finish writing that blog post!) Since I'm headed to San Francisco, I expect I'll be trying it out some more over there!